Something is rotten in the great state of football. Fans all over the world are beginning to reject the trappings of the modern game. Everything is being questioned, from the influence of television and the written press, to the elite few oligarchs who are buying up teams as playthings. The latter has meant that for the majority of teams supporters survival in the top division is the only thing to play for season after season. when I embarked on my career as a football fan, supporters of teams like Everton, Ipswich, Aston Villa, Leeds and Nottingham Forrest could start their seasons with a realistic belief that their teams could compete for honours. Nottingham Forrest and Villa actually won European Cups. The game had its problems. grounds were unsafe and hooliganism across the continent was a blight. ‘Modern Football’ has arguably brought with it modern safer stadia, and we’ve seen a reduction in terrace related violence. However, we have also witnessed the takeover of the game by the business class, their friends in fleet street, and Murdoch’s empire. All of this has led to the game being dragged from the clutches of the average working class fan. Gone is the sport I grew up following. Today supporters in the Premier League for example pay astronomical prices to watch footballers earning Hollywood wages. Meanwhile ‘Soccer AM tells them what to chant, and the newspapers tell them what to think. gone is the spontaneity of the terraces where whole stanzas were invented by fans and then sung in unison by thousands. now we get “Who are ya?” and other works of utter dross dished out by the sky sports generation. Even where clubs are making at least the pretence of fan engagement we see it is largely window dressing. Liverpool F.C. set up a supporters committee, but it would appear this is nothing short of a fig leaf for the naked exploitation of fans, as demonstrated by next seasons hike in ticket prices. When the ‘unrecognised’ Fan Union Spirit of Shankly were granted an audience with Ian Ayre recently they were basically told the club wanted to do something about ticket prices but couldn’t because, well everybody else was charging the earth so we have to follow suit. Supporters have referred to this as a price cartel. I would struggle to argue against that. Then we have the sports governing bodies FIFA and Blatter, UEFA and Platini, and the FA and Bernstein. Have you ever seen a bunch of people at the top of their business more out of tune with the “customers” who are its life blood. Two incidents in the last week have really demonstrated how woefully inept and divorced from the roots of football this countries footballing authorities are. The first is the timing of the FA Cup Final. The game has been switched to a late kick off despite both finalists being northern teams, many of whose supporters will struggle to get home as trains will not be running when the game finishes. The reason? A late kick off apparently suits television viewer better. 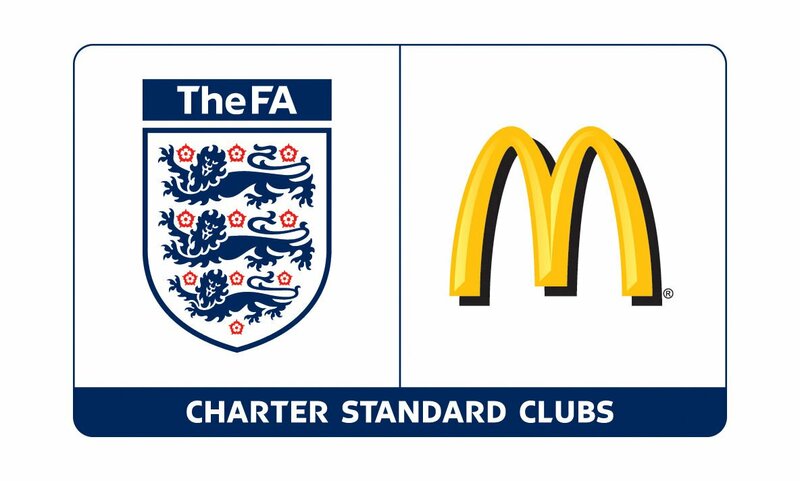 So much for the fans who will be paying out a small fortune to see the game in the stadium, and chomping on their £14 fish and chips and £5 pints in order to pay the FA’s mortgage on Wembley. I’m not even going to get into the devaluation of the FA cup its self in favour of the more lucrative Champions League. Sod it I will. Trophies aren’t important anymore we are told finishing 4th is the new holy grail. This is not a football I recognise anymore. I remember the FA Cup being a global occasion, taking over the whole day. winning it meant something. Not now. 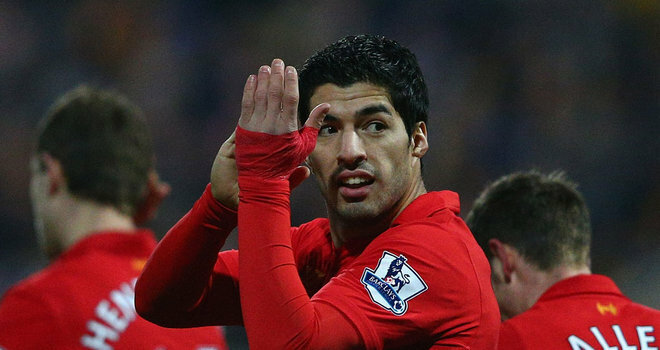 Then we come to the furore surrounding Luis Suarez. Now here’s where I have to declare an interest, as if you didn’t know already. I am a died in the wool Liverpool fan. That said even I can’t defend what he did. It was a mad impulse, an act of unbelievable self destruction, and totally unacceptable on a football pitch. In fact the player and his club said as much immediately after the game. In accordance with the rules of the game this was a plain and simple case of violent conduct. It should have been punishable by the mandated automatic 3 game ban. If we didn’t live in an era where the game is ruled by a remote elite, subject to the whims of social media and journalists baying for blood that’s all he would have got. Instead we had two trials. First came trial by pundit. We had to sit through the staggering hypocrisy of Graham Souness opining on how he has never seen anything like that on a football pitch. I sat gob smacked as he castigated Suarez on live TV, suggesting he had cost Kenny Dalglish his job, and was surely now in the last chance saloon at Liverpool. Those of a certain age will (like me) have afforded themselves a chuckle at this. Being charitable we could say perhaps the years have dulled Souey’s memory. The less charitable amongst us would call him a hypocrite. After all, this is the same man who broke a players jaw on the pitch at Anfield in a European game. I was there, I saw it. If you don’t believe me it’s in his team mates autobiography. Dalglish devotes several paragraphs to it. There has been no shortage of hypocrisy this week though. I can forgive rival fans for it. That’s all part of the banter. Ignoring your own teams shortcoming to take advantage of your enemies moment of weakness is what it’s all about. Some of it has been hilarious, this why we love following the sport. 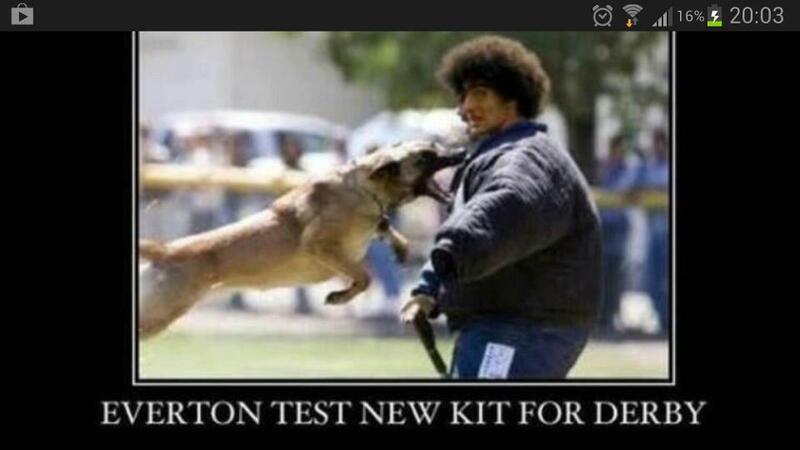 Everton fans have aimed some particularly good salvos our way. Then there was the rumour that Liverpool FC’s online statement on the Suarez ban had been delayed because Luis had chewed through one of the cables. Others about Suarez hunger for the game getting out of hand circulated via text. This is all part of the dance. I would be doing the same. I did do the same when Cantona aimed a Chuck Norris style kick at a fan, and when Eden Hazard booted a ball boy in the ribs. I even chuckled at jokes aimed at Ryan Giggs infidelity and John Terry’s infidelity for that matter. All fans are hypocrites, me included. Love for our club is locked in, if not at birth certainly in early childhood. We are blind to our own teams failings and see everybody else’s so clearly. This is the natural order of things, and this is why teams in the bottom teir of football still have a fan base. It is why the game is so popular to Billionaire’s and media moguls. It is also why people like me still thought Souness was the greatest midfielder the club has ever seen long after his upper cut on the Anfield turf. It’s why Chelsea fans still regard Terry as a legend and why Reds still love Suarez. This is however beyond the understanding of the pundit class who survive in a market of sound bites and cliché. It is unfathomable to the people who govern the game. These guys serve at the pleasure of sponsors and advertisers. The fans are just the mugs who buy the tickets. Exactly who are the FA anyway. Scan the biographies of the ruling body and it is a who’s who of bankers, financiers and accountants, I won’t mention the fact that the Chief Executive of Manchester United is also on the sports executive board. Oops I just did! How could they possibly see the game in the same way as us? Instead we get lectures on middle class morality, and talk of Luis Suarez being a bad role model to young kids. Well life is never as clear cut as that is it. Take Thatcher. There are those who regard her as a great leader something to aspire to, others would point to her many flaws and the damaging effects of her policies. One mans icon is another mans pariah. Besides Suarez may be a bad role model for my kids, but I hope I am their role model. I hope that they have learned enough from me to know you don’t bite someone in a football game. I never went round dishing out blows to the chin after seeing my hero doing it. Yet this was one of the reasons why Suarez got such a lengthy ban. Their other reasons verged on the ridiculous, and the whole judgement is riddled with inconsistencies. Brendan Rodgers rightly pointed out how laughable it was to call the panel sitting in judgement independent. The FA had prejudiced the whole procedure by dictating the outcome before the panel had even sat. Members of the FA actually sat on the panel, presumably to ensure that the dictate was carried out. The judgement cited the fact that Suarez actions were trending on twitter. Is twitter now the arbiter of justice in our game? They went on, stating that Suarez bite could have had health consequences. Maybe it could, but then so could Calum MacManaman’s actions, as well as Jermaine Defoe’s bite on Javier Mascherano. The latter attracted no sanction, other than a yellow card. The FA deemed him a sufficient role model to continue playing for the national side. These issues formed the basis of Suarez’ case that the ban should be no longer than the standard 3 game sanction for violent conduct. He has the right to submit a plea apparently. The FA’s response only demonstrates that this right is meaningless. Suarez simply exercising his right to argue his defence was actually used against him, and as a justification for a more lengthy ban. Imagine a court of law stating that because you refused to accept the prosecutions case in its entirety you were therefore worthy of a lengthier sentence. The FA might as well do away with the panel altogether, why bother asking for the players response? Just hand down the punishment and save us all the time. then we come to the so called right of appeal. Liverpool were apparently advised that any appeal was very unlikely to succeed and would only result in a lengthier ban. They were also told by our ‘friends’ in the press and broadcast media’ to accept it and just move on, as appealing would be bad PR. This is so far removed from any principle of natural justice as to be a joke, albeit a very bad one. In reality there is no actual right of appeal is there. There were some pleasing responses though. Dalglish’s column on the FA was predictably damning. However, even my liking for the surreal didn’t prepare me for Ferguson declaring his “understanding” for Liverpool’s ire. Thankfully Sam Allardyce restored normality declaring the Reds should just get on with it as what Luis did was “not politically correct”. Other premier league managers criticised the length of the ban, most notably Mancini. Will the FA pay any attention -unlikely. Those gloating now should hope they do. It could be one of your heroes receiving a ridiculous ban next, perhaps for a stray elbow or two footed tackle. For me there is definitely a blight on the game of football, but it isn’t biting, racism or even reckless tackles. Racism and violent behaviour are problems within wider society that must be addressed. Of course they will manifest themselves in sport also, but they are not what is destroying the game. The majority of players and supporters abhor such behaviours and attitudes. The real poison in our game is the hijacking of it by people who don’t really care about it, not in the same way we do anyway. These are people who are there to sanitise the game for the consumption of the sponsors, bleed it dry. Why else would you have players booked for taking their shirt off when scoring, thereby denying the sponsor of exposure. I’d rather see the passion myself. However, when football no longer makes money they will be gone, and we will be left to pick up the pieces. 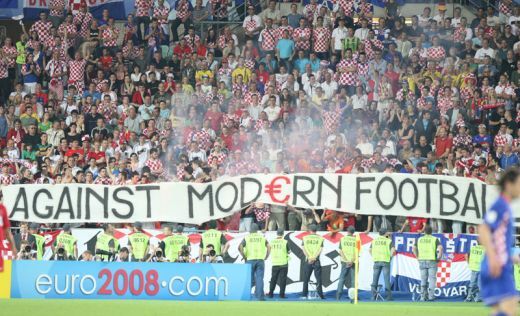 I’m against modern football. You should be too. Nice piece Jeff it appears to be your most controversial blog yet! I gave up on the game years ago, hung up my black and gold livingston fc (whooooo?) and sat back to abuse the missus as we watched liverpool fail year after year. Although we did sit back once and watch the 3 goals fire in at the wrong end of a champions league final . The pub emptied except for us and a handful of die hards by halftime – and we were rewarded with a free pint from the barman at the end of the turnaround . Thiink that was the last time my missus smiled watching them! It’s nights like that which keep us die hards handing over our hard earned cash, and possibly why the authorities feel free to keep exploiting our loyalty. There has to come a tipping point though and I think we are reaching it now.